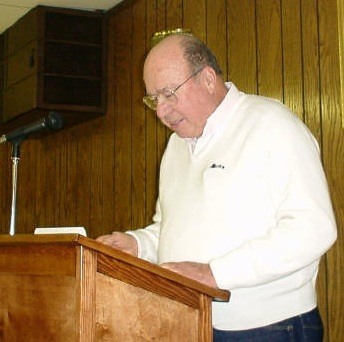 William Jet Lauck, 1935-2006, joined the SIMA in 1978. He immediately was a conservative voice, always helping to prevent the group from getting too loose with it's resources. Bill and several other members reached into their pockets to keep the SIMA solvent when some early officers ran up debts after the first Mustang show. Bill always worked and organized registration and he and his girls became known as the smiling faces show participants met to register their ponies. Bill and his friend, Gail Allen, distributed SIMA show flyers throughout southern Illinois & the St. Louis area as they attended early area shows. They worked to convince many "all car" shows to include Mustang classes. Bill was elected SIMA Regional Director in 1981, President in 1982-83, was named an MCA Certified Judge in 1983, SIMA "Member of the year" in 1984, had his beautiful blue 1973 convertible featured in Mustang Monthly magazine in 1986, was again SIMA Regional Director in 1987,88,89 & 1990, led the 1989 "Fall color cruise" to his Museum in Cobden, IL. He displayed his lime gold 1967 Coupe in Roberts Ford showroom at the 1990 SIMA show. Bill Lauck & Gail Allen started A&L Appraisal in 1992, Bill displayed his lime gold 1967 Coupe in Roberts Ford showroom at the 1995 SIMA show. 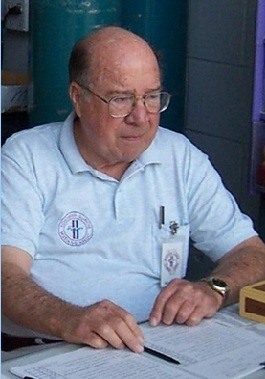 He received the SIMA "Outstanding service award" in 1997. Bill has been a major leader and supporter of SIMA. Bill Lauck was a mechanical genius who used his talents to restore Mustangs, but he was also a people person who understood how to deal with his customers and his many friends. William Jett Lauck was a good friend to our Mustang family and is greatly missed. It was unanimously agreed to name the 29th annual SIMA show and the "Special Award Trophies" of "Best Paint", Best Engine" and "Long Distance" in his honor.